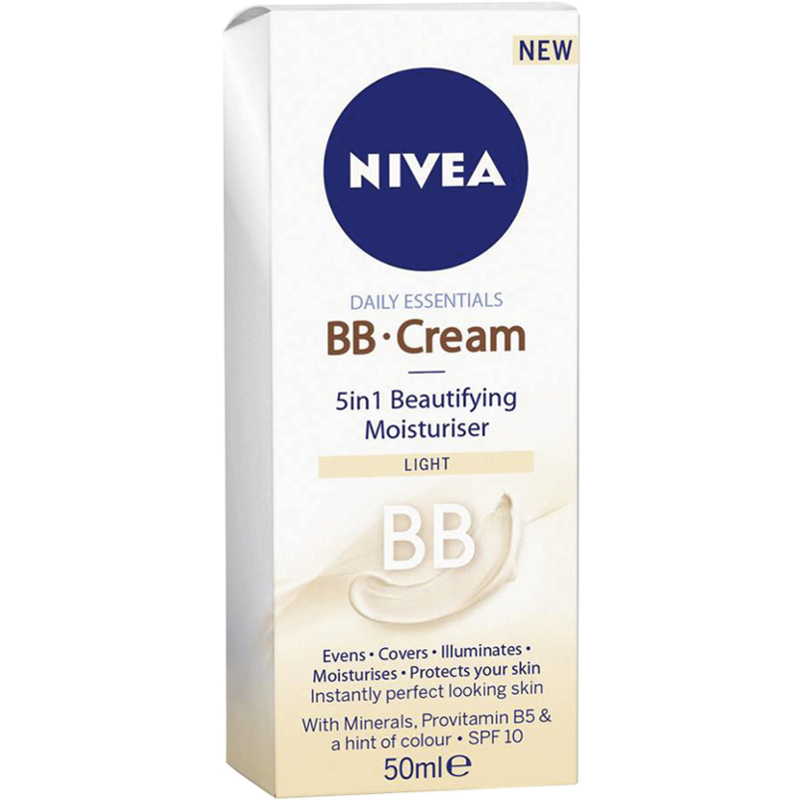 Nivea Daily Essentials BB Cream has five benefits in one. It evens, covers, illuminates, moisturises and protects skin all in one easy application. Moisture is the key as it provides skin with the hydration it needs for the day. • The formula contains Shea Butter which is naturally rich in vitamins A, E and F for super skin benefits. • Provitamin B5 optimises the skin’s own ability to absorb and retain moisture by binding water in the upper skin layers. • Hydra IQ, a skincare ingredient which helps support the skin’s own water channels to support natural moisturisation. • Fine micro-colour pigments that help to provide an even skin-tone match. • The mixture of coloured and colourless minerals in the formula work to blend the cream for a natural, healthy looking glow. • Added SPF10 helps keep premature skin ageing at bay by protecting against damaging sun rays. I think an SPF 10 is not enough, the consistancy is right, but it is not easy to use on the skin. Lot needed for full coverage. It should be used with other products. 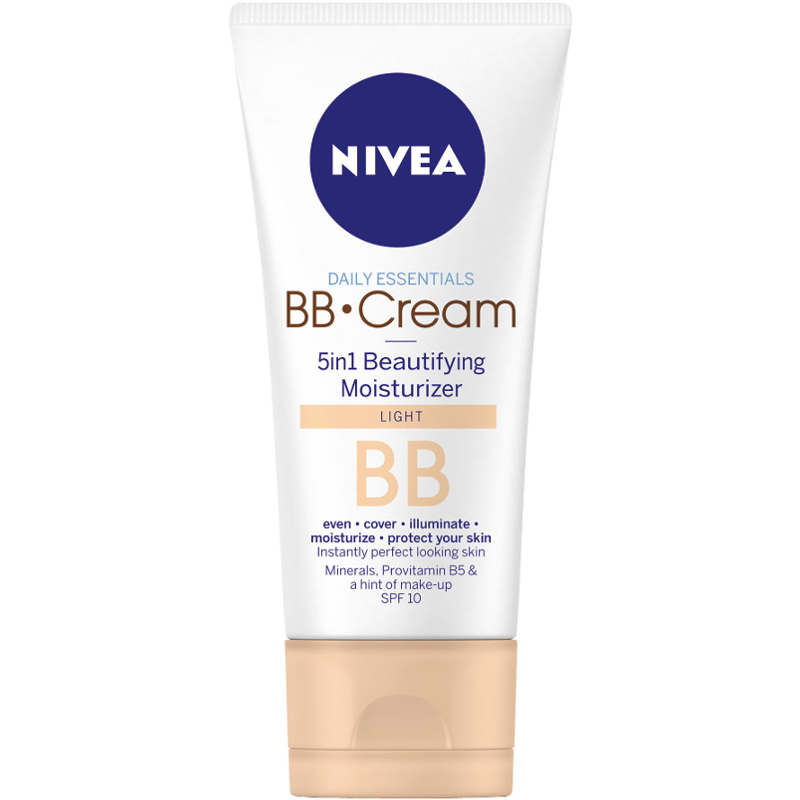 It is a good size and very cheap, but I think the result is not right and Nivea could not make this BB cream work. 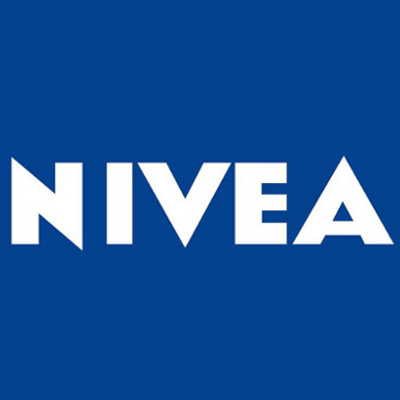 Nivea does not excel in BB creams, and this one is a solid proof of that. The cream is heavy-textured and dense, and even with my prone to dryness skin it is too oily to use as a foundation. I mostly use it as a concealer (to disguise dark circles under the eyes or to cover an occasional red spot/blemish). Despite the claim that it will fit people with a fair complexion, the cream is too dark anyway, to use it in full one has to have a light tan at least. In addition, in some spots of application the cream may produce an awful yellowish tint. 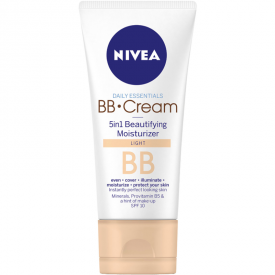 The major benefits of this BB cream are its cheap price and convenient size, which, in fact do not allow me to recommend it all things considered.